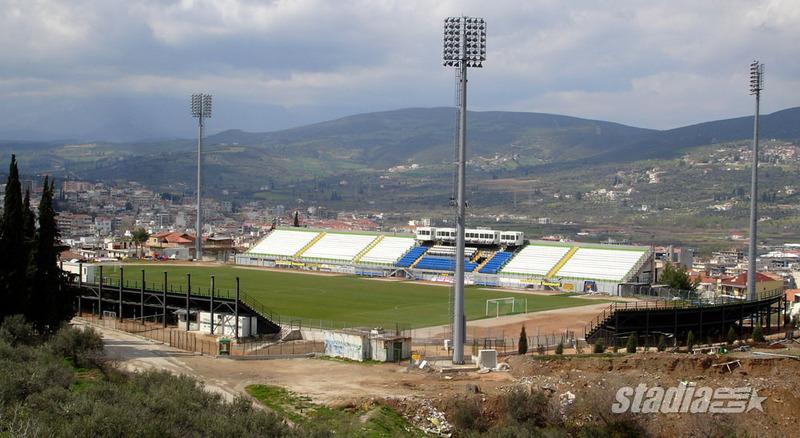 The stadium is located in Levadia (also spelled Livadia), a city in central Greece, 130 km north of Athens. You may also get there by train. 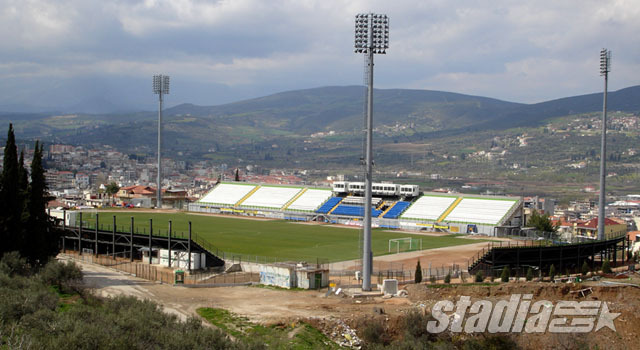 The stadium itself is in the south part of the city and access to it is quite easy. Coming into Levadia from the south (i.e. from Athens and Thiva) you will pass by Philippos Hotel. 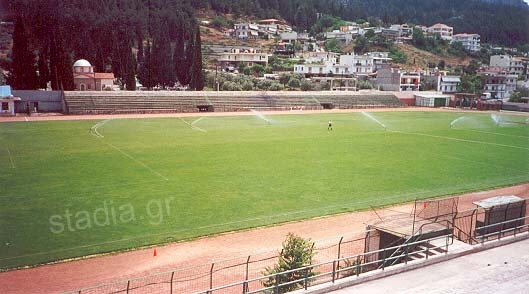 About 300m after that you will see a sign pointing left to the "Ethniko Stadio" (which means National Stadium in Greek). Turn left, follow the many similar roadsigns you will find along the way and you will get to the stadium after about 1 km. 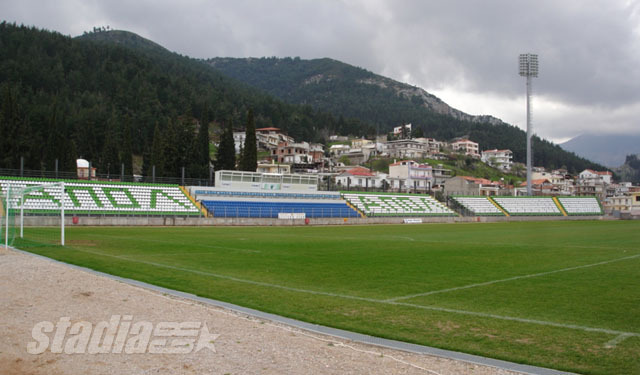 More data: Levadia Municipal (formerly "National") Stadium was at a disappointing state of disrepair until the summer of 2005 (you may see relevant photos: 1, 2, 3). 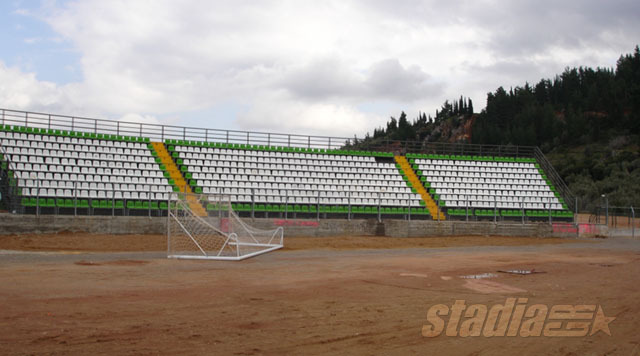 Luckily, the local club's promotion to the top flight was the reason for an extensive upgrading of the stadium. 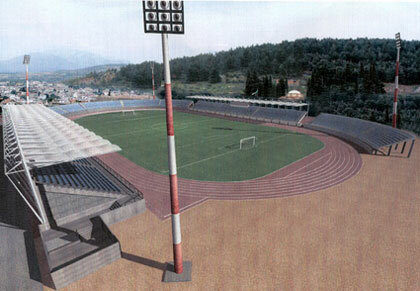 More specifically, the small west stand was demolished and a replaced by a metal one, while two new sections were erected at both corners. Plastic seats were installed on all stands, including the main east one. All areas below the east stand were refurbished, new press booths and VIP boxes were created, while floodlights were also installed. However, the project was not completed according to the initial plans (see: 1, 2), as the roofs over the east and west stands were not constructed and also the south curve was only partially built. 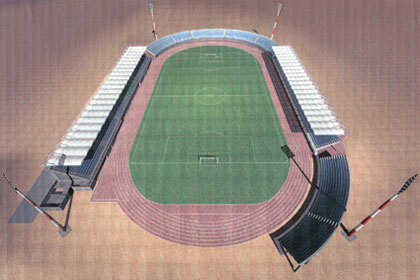 In 2009 limited upgrading works were carried out, most notable of which was the contruction of a small roof, over the central part of the main stand (not shown in photos). The stadium is owned by the Municipality of Levadia.